At Sahyog Group, we provide customised and cost effective warehousing and distribution solutions. By understanding our customers’ requirements and anticipating their future needs, we implement customized solutions that drive value for their businesses. If the scale, location or complexity of your business requires a dedicated solution, we have the expertise and infrastructure you need. Starting with a thorough analysis of your specific business requirements, our teams design, implement, operate and improve dedicated warehousing and distribution operations that deliver value to your business. 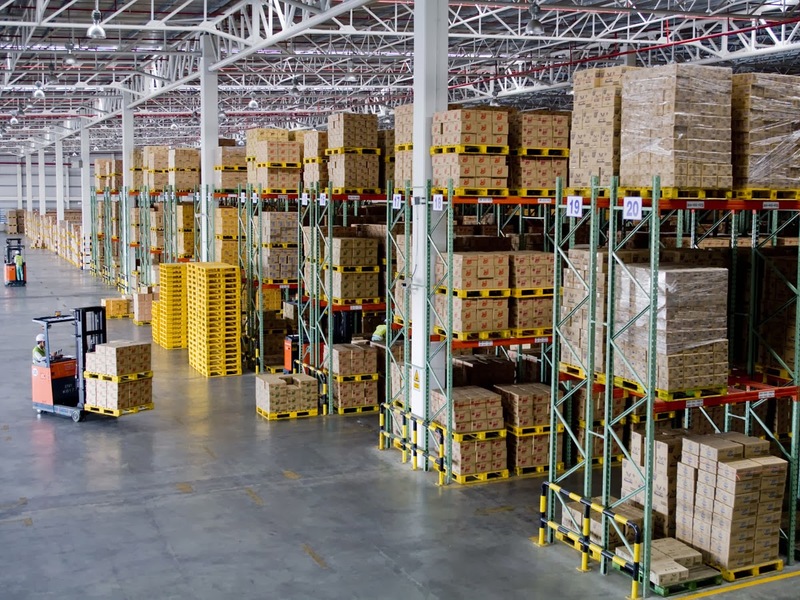 We offer consolidated operations allowing greater efficiency in warehousing and distribution, achieving tangible cost savings for customers. Sahyog Group boasts with world-class warehousing facilities and the most up-to-date fleet. Through owned warehousing and distribution facilities together with the capability to innovate and expand, Sahyog Group offers the flexibility and cost advantages of sharing space, labour, equipment and transportation. While creating economy of scale and achieving tangible customer benefits, we focus on each customer and consistently deliver excellent service through dedicated key account management structures. The Customs Clearance team at Sahyog Group offer experienced customs broker services and are here to provide you with all your customs clearance needs. We offer full services for both imports and exports, covering land, air and sea. We have global expertise in both commodity classifications and all the various government rules and regulations to ensure rapid clearance of your goods through customs, correct classification of import and export materials whilst contunually ensuring that the correct customs duties are paid. Our role is to ensure that all import and export cargo moves smoothly without unnecessary delays, whilst complying with all relevant statutory regulations. Our customs clearance agents are experts in local specifications, classifications and regulations. This on-the-ground knowledge allows them to handle the administration tasks for you swiftly and without complication. Our comprehensive range of services includes the preparation of all necessary declarations and reporting to the appropriate authorities. Furthermore it includes electronic pre-filing, customs consultancy and documentation processing as well as security sealing and certification. We are committed to provide genuine assistance to our clients in the areas of EXIM (Export and Import) Consultancy. 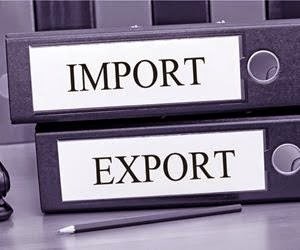 With a sound knowledge and know how in the field, we provide import-export consultancy services and educate the clients of the rules and policies governing the same. We believe in fast and precise solutions and are indeed famous for delivering consultancy services in the shortest possible time to help our client reap the benefits of numerous exemptions incentives / assistance available under the Import-Export Policy of Government of India. Import-Export Policy, Import Export License/Authorizations, Incentives, Benefits, Logistics, EXIM Finance, EXIM Legal Matters, etc. Representation and Liaison with DGFT, RBI and other Ministries for all import-export licenses and other EXIM matters. Planning, Strategizing and implementation for clearances of Project Imports, Plant Re-locations etc. We, at Sahyog Group, take additional care while transporting your car because we realize that your car is a special and an expensive belonging. We know that your concerns while transferring your car is genuine and therefore we make every effort to make sure that your car does not even suffer a minor scratch. We provide car trailers for the transfer of your cars. We arrange for safety of your car at every step, whether it is loading or relocation. Our professional staffs are responsible for carrying out the entire task with care and on time. Service delivered on time is what we believe in. We offer Car Shifting Services from New Delhi, NCR, Noida, Ghaziabad, Faridabad and Gurgaon to any domestic or international destinations too. Sahyog Group offers a variety of ocean freight services that are cost-effective, reliable and flexible for both inbound as well as outbound cargo. As an international freight forwarder we have a reliable network through our associates and partners located around the globe and required resources in place to provide optimal solutions for your international ocean freight needs. 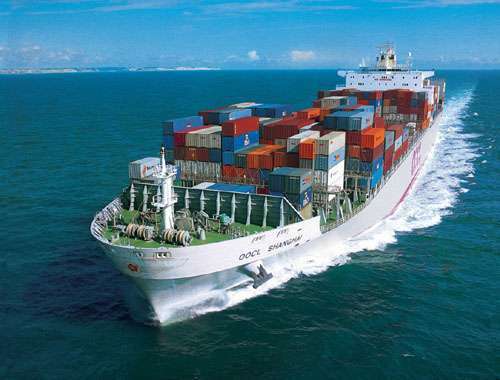 We offer fixed schedules, based on long lasting co-operation with dedicated shipping lines. Since our inception in offering unparalleled Custom Clearing services, we have been growing day by day as a trustworthy and popular Custom Clearing Agent offering world class Custom Clearing Services in India. Sahyog Relocation Services is one of the largest surface transport organization in India with excellent network across major cities, reaching every possible destinations. Sahyog Relocation Services are considered to be one of the best packers and movers company in Delhi. Sahyog Relocation Services is well known for their quality and economical packing and moving services and timely delivery of goods. Sahyog Relocation Services is the most respected and recommended movers and packers company in Delhi NCR, Noida, Gurgaon, Ghaziabad, Faridabad with strong network in all over India. Shifting or relocation of goods involve many unforeseen risks. To cover this risk, we offer comprehensive insurance services that ensure safety of the consignment on the move. Our team of expert professionals assist our clients in fast documentation of insurance paper, easing the cumbersome process. 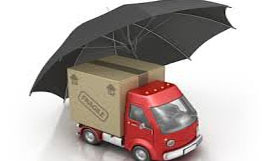 The insurance covers all the risk for any kind of damage or loss during the transit. We are one of the leading packers and movers in Delhi and render valuable packing and moving services to our esteemed clients. Our years of experience has enabled us to have an expertise in packing and moving services that has no near competition. Our work exhibits excellent quality and that is one factor where we never compromise thus we use superior quality materials to pack our products. The material used is according to the item that is to be packed. Every single and specific needs of our customers is well catered to by our team of professionals. Our team of experts keep a stringent eye on every activity that takes place during the packing and moving of goods from one place to the other. We have all the infrastructure that is needed while rendering the packing and moving services. At Sahyog Group, we help you set up Export Oriented Units. Export is one of the most lucrative business activities in India. The Government also provides various incentives to the exporters for earning valuable foreign exchange for the country for meeting their requirements for importing modern technology and essential inputs. Setting up of a most suitable type of business organization. Securing Registration with the Regional Licensing Authority (IEC No. ), Export Promotional Councils, Sales Tax Authorities etc. Understanding new Foreign Trade Policy & Procedures. Obtaining Credit Limit for the Buyer/Buyer’s Country from E.C.G.C. Shipping & Customs Clearance of the Goods & India Customs EDI System. Tendering the Documents to the Bank. Obtaining export incentives under the Duty Drawback Scheme, Focus Marketing Scheme, Focus Products Scheme, EPCG License, Marketing Development Assistance etc. 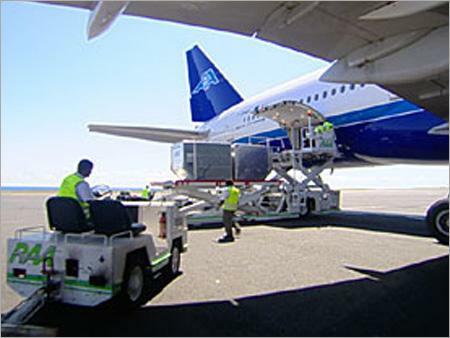 With the help of our skilled professionals, we are able to render services for Air Freight Forwarding Service. These quality services are rendered using sophisticated technology and other facilities in order to fulfill the good connection requirements and diminish effort cost. Due to our well-built network of office and representative, we have been able to provide the most appropriate, safest, unspoiled, time lined and cost effective air freight services to our valuable customers. Handles hazards, live animal & much more. Refrigerated Services for perishable products. 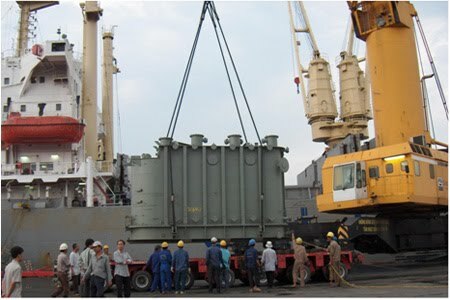 We hold all the aces in rendering Cargo Transportation Services. These services are rendered by our professionals who hold specialization in this domain. To meet expectations of the clients, we ensure to render these services as per the clients' requirements. Along with this, we render these services in accordance with the established rules and regulations for transportation. Sahyog Group is a full fledged clearing and forwarding agent to the exporters and importers of India. We are based in Delhi, with presence in all major ports of India. We take care of all freight logistics procedures like Customs Clearance, freight forwarding, consolidation, de-consolidation etc. As a leading Clearing and forwarding agents, we have a matchless record of customer satisfaction by giving them excellent service. As exciting as the prospect of moving to a new location is, when it comes to the actual move, there are few who look with excitement at packing boxes, dealing with immigration authorities and completing seemingly endless forms. International Relocation can indeed be wearisome dealing with bureaucracy in two countries and trying to arrange everything on time. However, the key is to familiarise yourself with the requirements and start planning well in advance! It is also a good idea to opt for a relocation company to assist with your move. In this respect, Sahyog Group offer a helping hand. We organise the move of your personal and household belongings, we also offer guidance on administrative procedures during and after relocation and assist with immigration issues and housing searches. 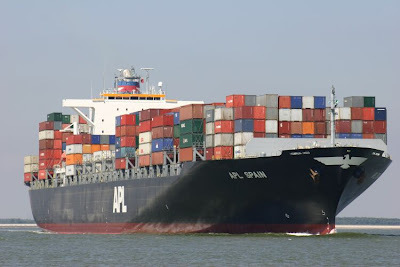 Insurance on goods, merchandise and other movable properties which may be exposed to marine hazards or perils during their transportation from one location to another. 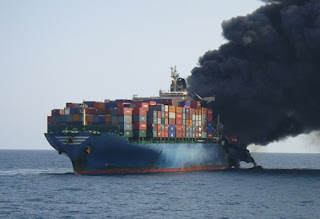 You’d imagine the most important question would be “whose carelessness caused the loss or damage?” Even if you prove the carrier was careless, the maximum you can recover from the carrier is only a fraction of the value of the goods. You need your own Marine Cargo insurance. Don’t rely on the carrier’s insurance. Marine cargo insurance covers physical damage to (or loss of) goods whilst in transit by land, sea & air. Include the Marine Cargo Insurance point in your sales contract with other party, this makes clear who’s responsible for arranging marine cargo insurance. Both parties know where they stand. It’s a small price to pay for peace of mind, and future security of your business. With the expertise and knowledge of our customers' needs, we have emerged as one of the dominant market players in the relocation, packing and moving industry. We endeavor to offer cost effective and personalized car carrier services / car transportation services that ensure swift deliveries of cars and other vehicles. We have continuously provided our customers with safe and reliable car transportation services that address their needs aptly. 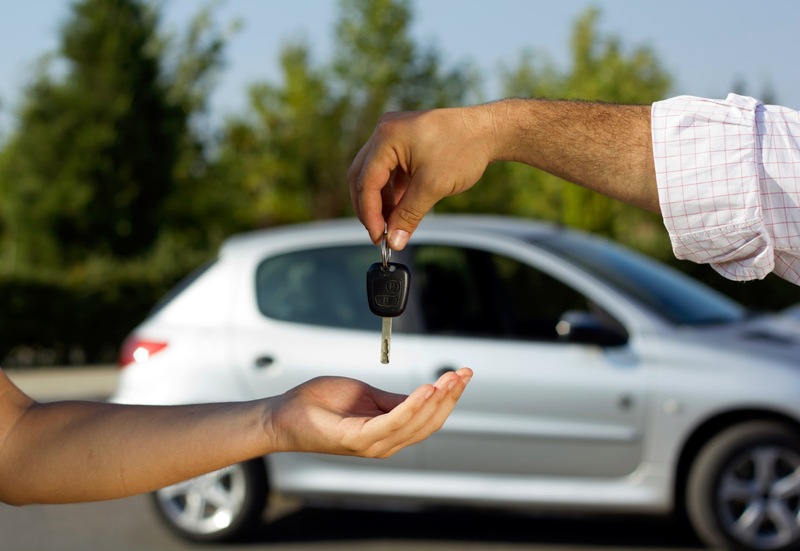 We arrange for safety of your car at every step, whether it is loading or relocation. Our professional staffs are responsible for carrying out the entire task with care and on time. Sahyog Group has established contracts with selected carriers based on their space availability and service reliability per every single route. Sahyog Group takes care of every phase of the freight forwarding, from consolidation to warehousing to customs clearance. We regularly file pre-clearing of the goods so that your cargo is customs cleared before the ship arrives and it’s ready to be delivered skipping bottlenecks and cutting total transit time. In case you don’t have enough goods to fill up a Full container Sahyog Group can pick up your goods and consolidate them with other customers goods in a single container to be sent to destination. Sahyog Group can arrange Full Container loads from your factory and all proper documentation to send the container to destination safe and clear. For more economic solutions but still very competitive in terms of total transit time, Sahyog Group can organize multimodal solutions based on the location of its International hubs, combining Air and Sea movements for more convenient deliveries. It is said that international trade does not deal with goods or services, but with documents. Strange, but true! The importance of correct paperwork cannot be overstated when it comes to import and export transactions. If you're the type who cannot abide paperwork, may we suggest that you hire someone who can! Documentation is crucial to international trade, and there's plenty of it to deal with. Many a companies always find it difficult to manage all these document requirements internally. This affects their focus, manpower and other resources. And one simple mistake can lead to avoidable circumstance and even losses. If this is the first time that you are importing or exporting something, you need services of professionals who will help you cut down your hassle and enhance productivity of your organization. At Sahyog Group, we provide custom clearance and freight forwarding services with the help of our expertise. The knowledge of entire know-how involved all technicalities which enable us to provide hassle-free logistics solutions. We attain a prime position in industry as a logistics solutions providers. We ensure to induct world-class facilities and best internationally followed practices into our operations. Sahyog Relocation Services, a division of Sahyog Logistics Solutions Pvt. Ltd., is one of the leading Packers & Movers based in Delhi, India. Our team of professionals have a lot of experience in Domestic & International Office or Residential Relocation Services, car transportation. We have our own fleet of Vehicles to ensure safe delivery of your Household or Office Goods at your required destinations. Our shifting process starts from conducting a preliminary assessment followed by thorough evaluation of needs and budget as well. Whether you have to shift your household items or office furniture, our experts take proper precautions and pack your items in corrugated sheet, with stretch film, polythene, wooden crates item wise so that they don't get damaged while moving from one place to another, mark the consignment properly and prepare a list of items. Sahyog has been offering relocation services for all-size offices across all cities in India and abroad. When it comes shifting your office from current city to another city what matters the most is maintaining confidentially of office items such as office files, safety and upkeep of goods that need to be secured in the right way. We also offer Car / Bike Transportation Services from one place to another. Our team make sure your car is covered properly so that there are no scratches while shifting your car. 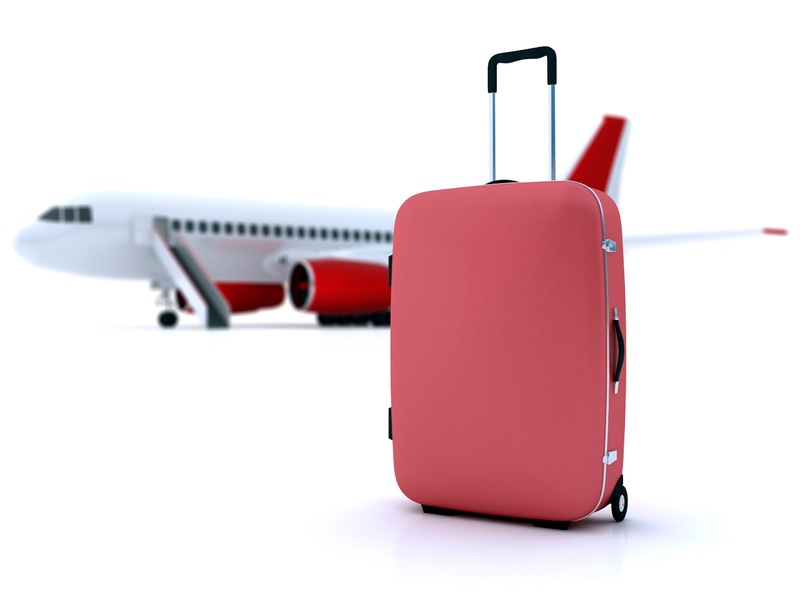 We'll help you clear your baggage to set your mind at peace within the least possible time. Sahyog Group has facility to handle unaccompanied baggage received in containers. 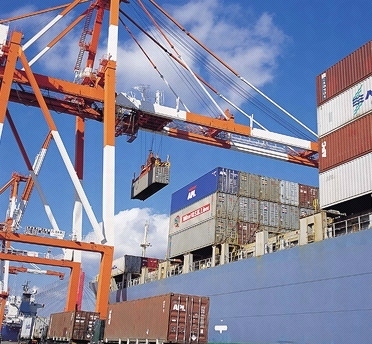 When the container gets de-stuffed and the goods are examined and cleared by Customs Office, the customer has to submit necessary documents to Customs and Port, either through a Customs House Agent or by himself. The importer shall initially submit Import Application alongwith cargo charges and Delivery Order to Port. Appraisal ticket shall be issued from Port for Customs examination. After Customs clearance the importer shall submit Baggage Declaration, for taking delivery of goods. We provide Single Window Consultancy services for facilitating services for all organizations with business interest in international trade. We assist our clients in successfully addressing all regulatory and licensing requirements, government clearances, and liaison with related government agencies. 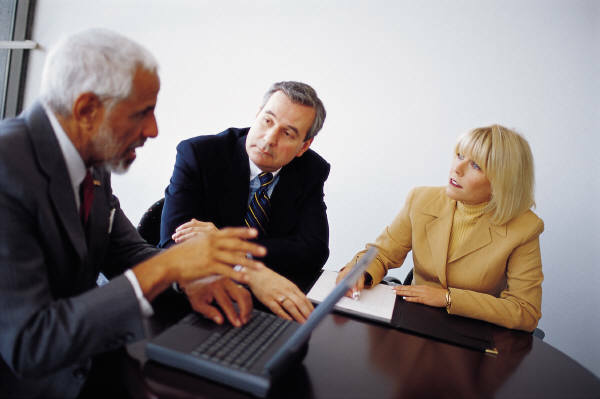 We work closely with clients to develop strategies and implement plans to add value to your international business. 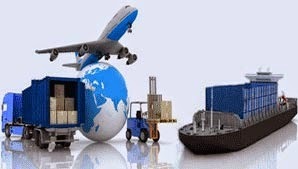 Sahyog Group is a reputed Custom Clearing & Freight Forwarding Agent in India. Our consultancy not only cover trade, tariff, classification and customs formalities; we advocate our clients cases, files, adjudications and any customs issues related to valuations, duty payments, provisions of customs act etc. We provide complete tailor-made package that include door to door delivery, customs services, EXIM Policy implications, licensing, DGFT, Insurance, Octroi-BMC, Banking and other Legal/ Governmental liaison with maximum economy, effectiveness and efficiency. We help our clients in Procurement of Import Export Code (IEC) or amendment in the same, in Procurement of various licenses like DEPB, Advance license, EPCG etc. & in Registrations with relevant Export promotion councils, Customs, Chamber of Commerce etc. Air Freight Forwarders is fast turning into the preferred mode of transport for small & high value items. Therefore, it is imperative that everyone looks for a company that provides safe and punctual delivery. Sahyog Group has established itself as the premier name in Air Freight Forwarding Services. We store your inventory, pick and ship your product where and when you want it. We are an online distribution center for sellers offering e-commerce, drop-shipping, retail distribution or direct-to-shopper fulfillment distribution services (B2C). Our warehouse can accommodate all kinds of products. We specialize in inventory management receiving and stocking items we get directly from your wholesaler or manufacturer. We are one of the leading distribution company based in New Delhi with presence through out India helping various Internet Retail E-commerce Companies. We take care of complete order fulfillment process. The headaches of clients is customs clearance of their shipments. Custom clearance need not only time and patience, but a great deal of professionalism and well organized network. Since we know all the process the way and the need of having organized network, our company does custom clearance of our clients' cases in the very best way. As customs clearing agent Sahyog Group facilitates the movement of goods through customs by ensuring that the correct documentation is completed & also offers significant expertise in exporting to various countries adding value that goes beyond the document preparation and related activities. A customer clearing agent engages in communicating with both national as well as international government agencies. This is done on the behalf of importer and exporter. We also completes various important formalities required for the shipment clearance. We at Sahyog Relocation Services provide efficient international delivery services supported by both leading sea & air carriage companies. The Safety of your goods is a priority for our team that follows industry standards in relocations using only recommended quality packing material such as thermocol, cardboard sheets, gunny bags, plastic bubble, cartons & wooden crates of excellent quality to make certain damage free delivery. Our services as Packers and Movers are not limited to helping you move but also settling your belongings with efficient unpacking and relocating. Sahyog Relocation Services strives towards customer satisfaction and on time delivery of product using our various modes of transport at our disposal. We at Sahyog Relocation Services have been making lives easier with our proficient relocation services to small and large business for many successful years. Our services as Packers and Movers are not limited to helping you move but also settling your belongings with efficient unpacking and relocating. Sahyog Relocation Services strives towards customer satisfaction and on time delivery of product using our various modes of domestic transport at our disposal. We deliver goods in good condition using our own fleet of trucks and trailers. Sahyog Relocation Services, a division of Sahyog Logistics Solutions Pvt. Ltd., is one of the leading Packers & Movers based in Delhi, India. Our team of professionals have a lot of experience in Domestic & International Office or Residential Relocation Services, car transportation. Our shifting process starts from conducting a preliminary assessment followed by thorough evaluation of needs and budget as well. We offer a comprehensive customs clearance services for import and export consignments at all major airports and seaports. Our specialized custom brokerage services include custom clearance services, export and import clearance, documentation, customs regulations, cargo tracking, logistics etc. All these custom clearance services are managed by highly trained experts well versed in all aspects of handling container vessels. We are known for offering quick and speedy delivery of cargo with total transparency in accounts and financial transactions. Export services from India comprise Loading, Transportation, Assessment, Appraising examination of Shipping bill & related custom documentation in india & at export of distinction examination and trucking of the consignment right upto the final destination. We also offer the best rates, With our strategically situated warehouses its also possible to Consolidate/Palletise/Repack a shipment and also stuff containers within our premises before the goods are delivered at the port CFS. Import Services in India offered by us comprise Custom clearance. Preparation & passing of bill of entry and all related Documentation. 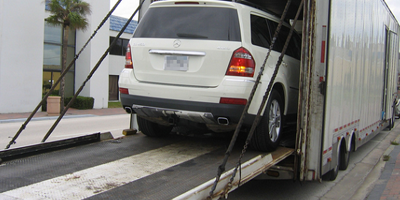 Custom examination loading and transportation to either our own Warehouse or Importer 's premises. When it comes to Custom Clearance . Corporates and entrepreneurs swear by us. We handle sophisticated machinery to basic raw materials and small LCL. shipments to consignment of thousand of tonnes. 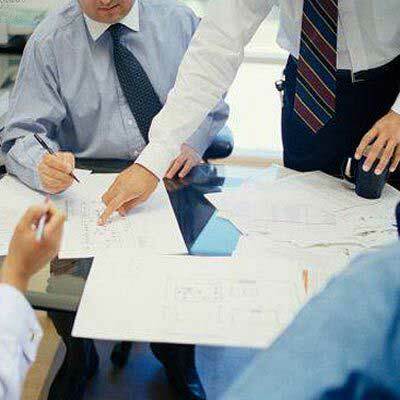 The Custom regulation, procedures and various Duty structures are maze for many. We are able to draw from our pool of knowledge Such crucial information that ensures Pre Shipment Plan Documentation to enable Quick and.smooth clearance at the lowest rate of Custom Duty. 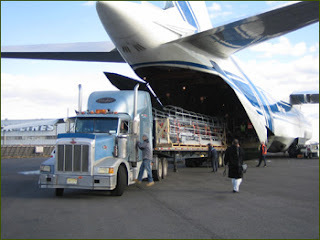 Air Freight Forwarding Service refers to the transportation of business or commercial goods via proper usage of an aircraft that is specially manufactured for carrying cargo. These airplanes are also given a unique name such as cargo airplanes. 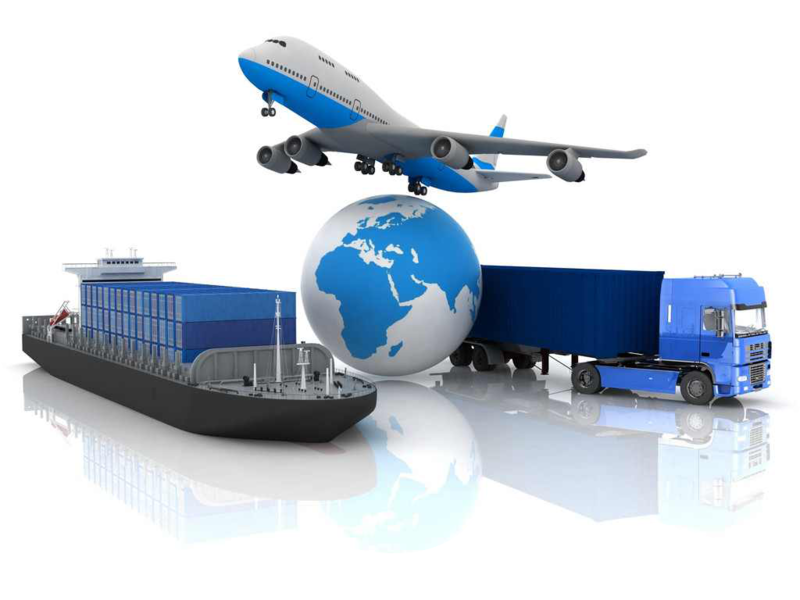 Many suppliers and exporters are closely involved with the application of logistics in their daily life. The main benefit that you can get from these services includes adept management and investigation of information and many other significant resources. The basic study includes a lot of things such as price of the fuel, effective handling of manpower, and setting of transportation tasks from a specific source to the other destination. The suppliers of freight services will require adequate knowledge for proper functioning. Sahyog Group provides end-to-end Internet fulfillment services for online retailers of all sizes. We aim to make order fulfillment easy and affordable for all Internet sellers. Sahyog Group's distribution services consist of managing the purchasing, inventory postponement and delivery of products from suppliers to online retailers or directly to buyers or end customers. We store your inventory, pick and ship your product where and when you want it. 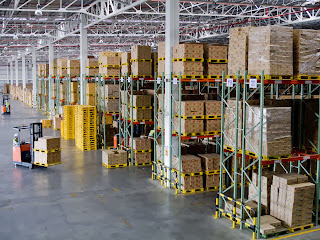 Our warehouse can accommodate all kinds of products. We specialize in inventory management receiving and stocking items we get directly from your wholesaler or manufacturer. When it comes to shifting and relocation in Delhi, Sahyog Relocation Services in Delhi is the first name that comes in the minds of the people as we have lots of satisfied clients in Delhi and our network in India is growing continuously. Sahyog Relocation Services provides the best of the Packing and Moving services, car carrier, loading and unloading, local packers movers in Delhi and NCR regions of Delhi including Faridabad, Ghaziabad, Noida, Gurgaon and others. 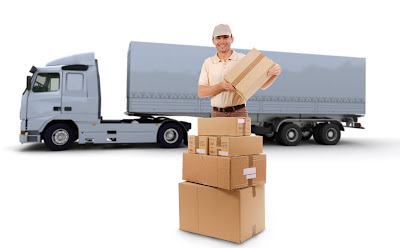 Need services of Packers and Movers in Delhi? If yes then your search ends here. Sahyog Relocation Services will provide you perfect packing & moving solution for household shifting, office shifting, car transportation, car carrier and warehousing needs. We also provide services of international relocation with some other allied services. 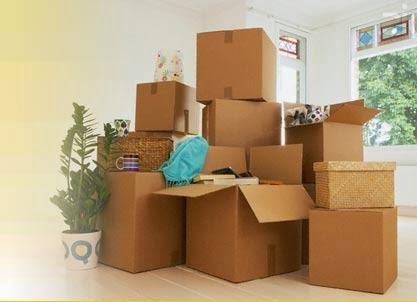 Whether you are looking for professional packing & moving services on local move within the city of Delhi or move from this city to somewhere else, we are capable to provide you most suitable and affordable solution for you. We will help you spend less time with research and more time with your family members. Maybe you've been offered a great opportunity that you simply can't pass up, or you just want to have a fresh start in a different part of the country. Your plan is to pack as much of your personal belongings as you can in the trunk of your car, throw your bikes on the rack, tie a few miscellaneous items on the roof, load up the wife, the kids, the dog, and away you go! Your stuff is all packed up and the furniture movers have been scheduled and now you're just waiting for the big day to arrive. But what if you like most of us have two or even three cars, how are you going to get them all to your new home? The simple solution: consider hiring a car transport shipping company to move your car for you. Car movers can transport your vehicle to your new home safely and securely, without the risk of you having to drive it across country yourself. With a professional car mover your car, truck, RV, or SUV will arrive at your front door with absolutely no wear and tear, and without the worries of you trying to drive it yourself. All for a lot less than you think. We are providing office shifting services and we cater our office relocation services to schools, companies, factories, and manufacturing units. We can shift your goods very quickly so that your work is not suffered. We know that you won’t like your work to be disturbed and want to continue your meetings, conference etc. 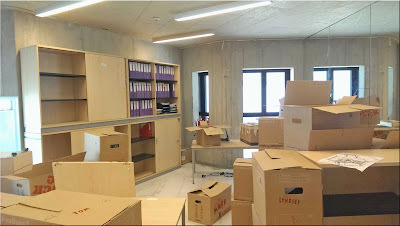 on regular basis and hence we move your office in no time and you can see everything in proper order in a short time. We service our clients based on the principles of the safe, cheap, reliable, and professional packing and moving solutions. 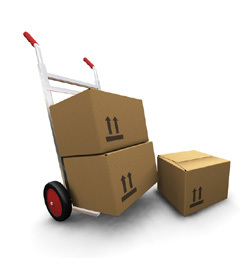 We offer fast and reliable packing and moving of office goods. Our aim is to provide quality packaging and professional moving services at reliable and affordable rates. We have complete idea that you do not want to see your routine disturbed as it may affect the output badly. So we do the moving process after your business hours or on holidays so that you can continue your working. We do not want to be an obstacle in your work. Sahyog Group offers prompt and hassle free import-export consultancy for the valuable clients from different industries and trade. The company provides counsel and services attending to commodity, tax rates and duties, import and export restrictions, exchange rates, methods of customs clearance, letters of credit, insurance requirement, domestic and international shipping and transportation regulations, tariff classifications, concessions and appraisals etc. Sahyog Group believes in fast and precise solutions and are indeed famous for delivering consultancy services in the shortest possible time, helping our clients reap the benefits of numerous exemptions incentives / assistance available under the Import-Export Policy. We are one of the best movers & packers company for providing relocation services for household goods in India. We do packing with good quality packing materials and takes extreme care in case of fragile items. Domestic household relocation means moving the goods within India from one place to another place. We can take care of all your needs while moving household from one place to another place. When customer place a domestic packers & movers request, our representative will go for survey. Once the move is confirmed, our expert packers will handle all. Once goods are packed, they are loaded into the container and sent to destination. The duration to reach to the destination will be told by our representative while providing the quotation for your move. The goods are unloaded and unpacked by our experts removal staff at the destination and rearranged as they were before. The entire stuff will be rearranged as it was before moving household, never let you realize that you have moved your home. Entire packing and moving service is so hassle free that you gets surprised on the quality of work. We take extreme care of good as if they are our own. 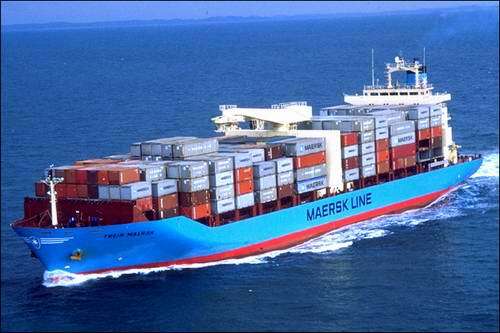 Freight Forwarders are undoubtedly important in the field of shipping and transportation business. They also assist various businesses when it comes to finding fantastic ways to ship goods to different locations within the nation. Freight services are also known to assist various other tasks such as goods export to many different nations all across the globe. Sahyog Group is one of the leading International Sea / Air freight forwarders and can meet all your global transportation needs around the world. Whether you're transporting smallest to largest consignments to any part of the world, we reach your freights to the designated place at the earliest. Freight Forwarder doesn't actually move the freight itself, it acts as an intermediary between the client and various transportation services. The International Freight Forwarder utilizes established relationships with carriers of all kinds, from Air Freighters and Trucking Companies, to Rail Freighters and Ocean / Shipping Liners. As a Freight forwarding service provider, Sahyog Group negotiate the best possible price to move the product along the most economical route by working out various bids and choosing the one that best balances speed, cost and reliability. We provide both Air Freight Forwarding as well as Sea Freight Forwarding. Custom Clearing is one of the most significant parts of overseas transportation for both importers and exporters. The best thing about Custom Clearance companies is that these are aided by the hassle free approval from varied government agencies for importing as well as exporting goods from one nation to the other. Sahyog Group is a leading Customs Clearing Agent based in New Delhi with a lot of experience. Updated with the custom regulations and procedures, we handle clearance of import and export consignments by sea, air and road efficiently. Our customs clearing services include advice to the clients in preparing documents related to import and export, preparing Invoice for international shipping, completion of appraisement and examination of various procedures and payments. After the formalities with customs department are completed, we deliver the consignments to the desired destination. 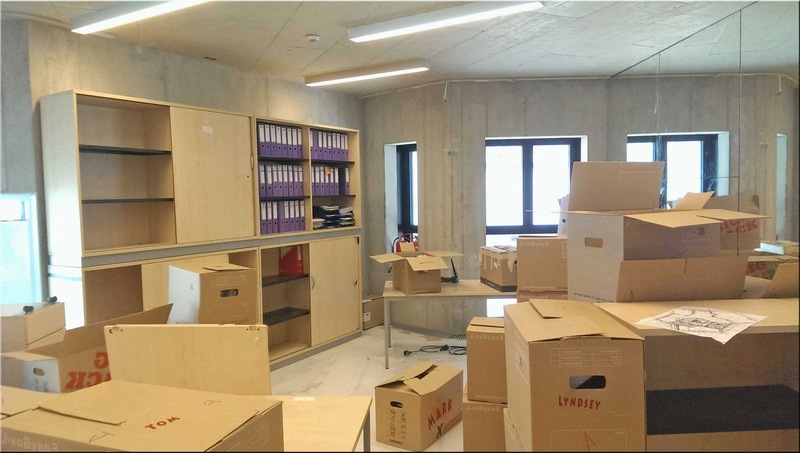 Sahyog Relocation Services is among the pioneer for providing nationwide cutting-edge relocation services for residential shifting, commercial shifting, office shifting, factory shifting and such other service which one may be in need of. 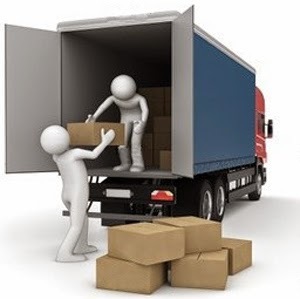 We adopt global safety and satisfaction standards in delivering high quality shifting services with latest technologies backed by highly professional team of skilled and experienced people who go above and beyond our customer’s expectations to give them utmost satisfaction. We understand deeper emotional relationships of our valued customers with their goods; that is why we take utmost care and welfare of your goods at every single step of whole shifting procedure. Experienced professionals at Sahyog Relocation Services use high level acumen and expertise in packaging, shifting to provide completely safe shifting. It is our firm commitment and devotion to give high quality services that leading corporate organizations from both private as well as public sector makes to the list of our valued clients. This is one of the services that make our company unique and special, doing what others might not be able to do. We bear the burden and headache of our clients' in performing customs clearance by taking the burden by our selves. We have global expertise in both commodity classifications and all the various government rules and regulations to ensure rapid clearance of your goods through customs, correct classification of import and export materials whilst continually ensuring that the correct customs duties are paid. Whether you are shifting your home or office in any other country, we will help you with the same. Sahyog Relocation Services have years of experience in international packing and moving business. We aim for customer delight and follow international standards for packing and moving of your goods. To schedule your move, please fill in enquiry form and send it to us and our executive will get back to you. We provide hassle free transportation of your household items or office stuffs. During entire process of your shifting we take care of your items and make sure that our staff will not damage any of your items. Our staff members are well trained in packing, unpacking, loading and unloading & are very professional. Entire process of shifting is done under expert supervision. Founded a decade back with an aim of becoming a Single Window Service Provider for Exporters & Importers requirements, Sahyog Group has grown well in the market with a focus on complete Customer Satisfaction. Sahyog Group has an efficient infrastructure to handle Cargo effectively and to provide complete assistance for Export & Import related Documentation. While providing our services to all industries we specialize in heavy industrial goods and engineering goods, e.g., Rolling mills, Oil field equipments, Cooling towers, Electric motors, All types of Transformers, Capital machineries for cable industry, Bailing press machineries, Packing & sealing machineries & Leaf springs, Home appliances, chemicals, PP granules, Rubber sheets etc. We are feeling proud in introducing ourselves as one of the leading, reliable Packers & Movers of repute and standing in the field back with an experience. We are confident to take up any challenging work and execute the same in efficient manner to the optimum satisfaction of our clients. We are one of the fast, trustworthy, reliable and economical packers to pack and move safely. We are still young energetic & dynamic, also ever expanding, which has set its goal high. In due course, we would wish to be market leader, as known for an excellence in service & customers satisfaction or delightful. Since our inception, we have grown a marvelous way into logistics, multi-faceted company, today having branch office in all the main cities of India with good infrastructure. Sahyog Relocation Services is a Delhi based moving organization that offers professional packing services, professional moving services for your packing and moving requirements throughout India. We take pride in offering great packing and moving services at reasonable prices. All our employees are experienced, courteous and careful. We offer personalised service for any kind of relocation whether it is local, Domestic. We are providing our relocation services at genuine and affordable price that is hardly to beat by other professional packers and movers in Delhi or moving companies in India. We have years of experience in the field of relocation & transportation industry; hence we will give you truly right solutions for your different relocation needs. With the expertise and knowledge of our customers' needs, we, at Sahyog Relocation Services, have emerged as one of the dominant market players in the relocation, packing and moving industry. We endeavor to offer cost effective and personalized car carrier services, car transportation services that ensure swift deliveries of cars and other vehicles. We have continuously provided our customers with safe and reliable car carrier services, car transportation services, car transportation, car relocation services all over India like Delhi, Delhi NCR, Ghaziabad, Gurgaon, Noida, UP, Pune, Mumbai, Banglore, Bengaluru that address their needs aptly. We arrange for safety of your car at every step, whether it is loading or relocation. Our professional staffs are responsible for carrying out the entire task with care and on time. We take additional care while transporting your car because we realize that your car is a special and an expensive belonging. We know that your concerns while transferring your car is genuine and therefore we make every effort to make sure that your car does not even suffer a minor scratch. We at Sahyog Group, are leading Export Import Consultants based in New Delhi, India. 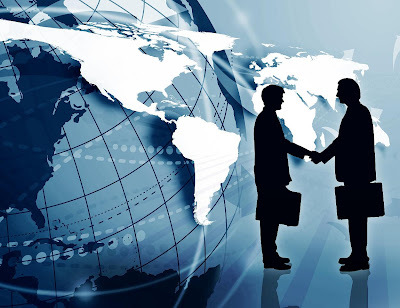 We are a team of professionals who work very closely with our Indian customers to setup their businesses overseas or foreign customers to setup their businesses in India.